Anthropologists pursuing the study of material culture have been perennially interested in the relationship between nature, culture, and what role technology plays in the what it means to be human (c.f. Pfaffenberger 1992). 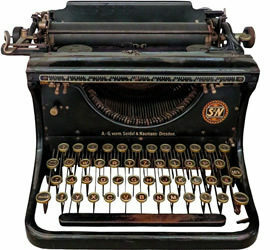 “Every human society is a world in the process of becoming, in which people are engaged in the active technological elaboration, appropriation, and modification of artifacts as the means of coming to know themselves and of coordinating labor to sustain their lives” (Pfaffenberger 1992:511). I recently happened upon an article about an art installation in western Canada by Lisa Brawn. As a provocation, it got me thinking about is the appropriation/reappropriation of technology and the ability, through artistic endeavour, to throw the relationship between nature, culture, the technological, the animate and inanimate into relief. The installation involved the restoration of coin-operated shopping mall amusement horses. Brawn began collecting them three years ago. She explains, “They had wasp nests in them and all the wiring was chewed by mice, the motors were seized, all the paint was blistered and all the leather on the saddles was rotten. So it was a disaster.” Brawn began stripping and sandblasting off the 60 year old paint before covering them in metallic silver leaf. After restoring the horses, she fashioned solar-powered motors to make the horses run again. 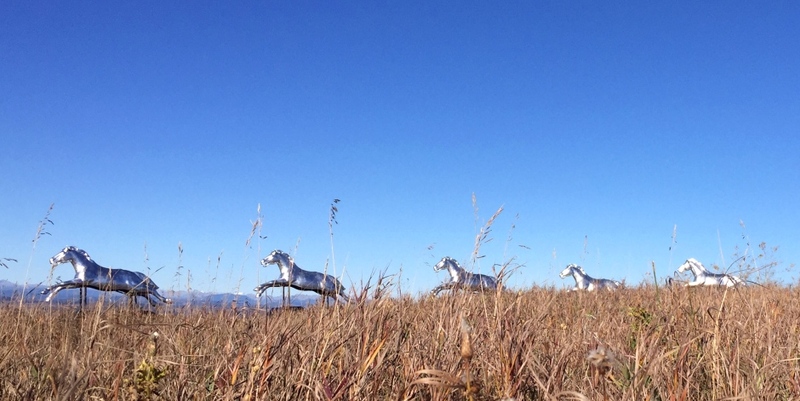 Braun placed the horses in a field outside of Leighton Art Centre. She installed motion-sensors to trigger the horses to activate and gallop as they once did. From my perspective, there is something eerie about the replacement of these horses outside their “natural” shopping mall space and into the “natural” habitat of horses. The eeriness is reinforced by the squeaking and jolting movement of the horses, activated by movement from hidden sensors. The sense that they are out of place heightens our awareness to the seemingly arbitrary divisions of natural and technological and to the ways we make sense of space and order things in it. In Part 2, I’ll unpack this installation in more detail. Until then, watch the horses run! Pfaffenberger, Bryan 1992 “Social Anthropology of Technology”. In Annual Review of Anthropology 21:491-516.